The KingFisher technology (Thermo Electron, Waltham, USA) uses shifting of magnetic particles through the different phases of the purification process. Volumes from 50 to 1000 mL can be processed, and because of the 3 x 5 fixed magnetic rods and the 3 x 5 separate disposable tube strips, a maximum capacity of 15 samples per run can be achieved. Besides RNA and genomic DNA, the KingFisher instrument enables the isolation of proteins from a variety of starting volumes. Saukkoriipi et al. 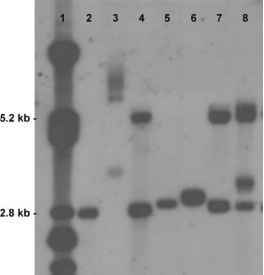 compared the KingFisher instrument to a manual DNA extraction method for the purification of Streptococcus pneumoniae DNA from 50 nasopharyngeal swab samples. All pneumococcal culture-positive samples (44%) were PCR-positive regardless of the extraction method. Additionally, from the culture-negative specimens, 71% of the manually extracted and 82% of the samples purified with the KingFisher instrument were PCR-positive.